The new 2018 Volkswagen Tiguan is a uniquely stylish full size SUV. The Tiguan is known for its impressive design and gorgeous exterior. This contemporary SUV is more than just good looking; it’s also very powerful. The 2018 Tiguan has a dynamic 2.0L Turbo TSI engine and gets up to 184 horsepower. This engine achieves up to 22 MPG city and 27 MPG highway. 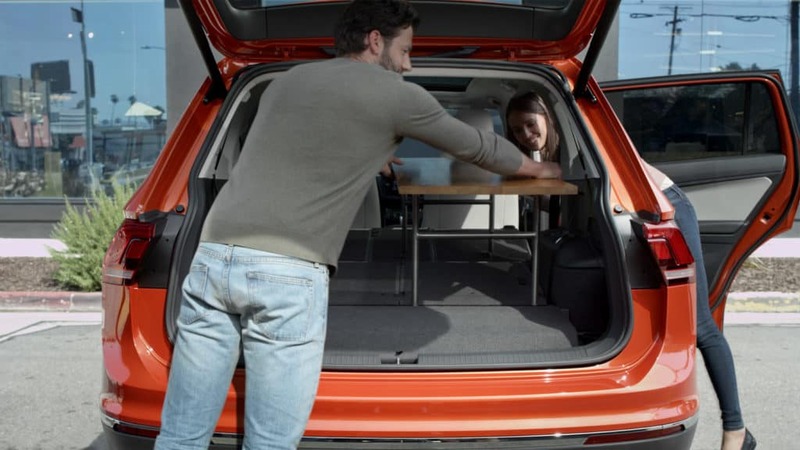 The adaptable Tiguan seats 5 and has up to 73.5 ft. of cargo space. The 2018 Tiguan is for sale now at Brazos Valley Imports. 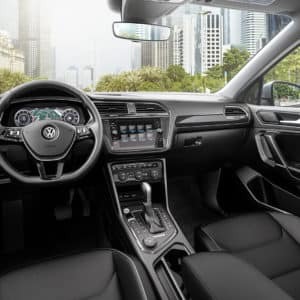 Head down to our Bryan, Texas dealership today to see for yourself what makes the 2018 Tiguan so versatile and special. The 2018 Tiguan is one sleek vehicle. Its body styling is very modern, featuring bold defined angles. The Tiguan was redesigned to be longer and wider overall. At the front of the SUV, there is a silver three-bar grille. Its chassis rides on upscale five-spoke wheels that are customizable depending on the trim level you choose. 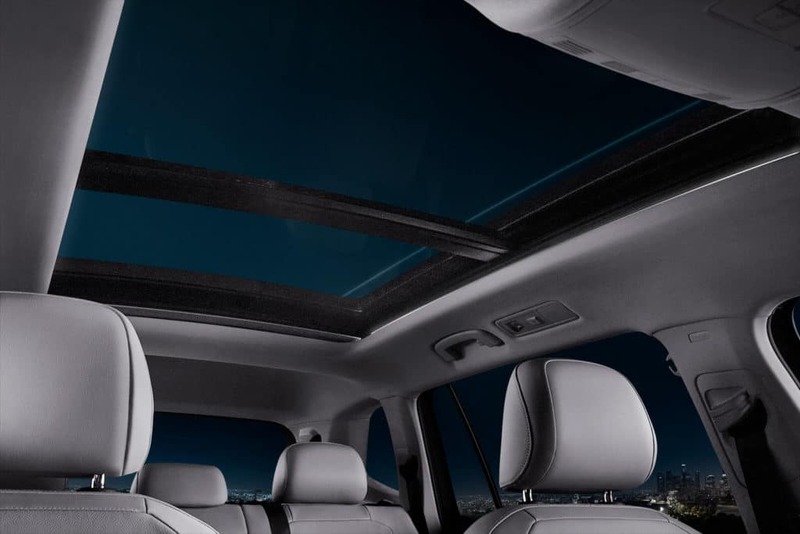 At the rear of the Tiguan, you’ll find LED headlights and the available automatic liftgate. The Tiguan comes in some seriously stylish colors too. Depending on the trim, there are up to eight body colors. We love the Habanero Orange Metallic and Dark Moss Green Metallic colors. Intrigued by the new 2018 Tiguan? You have eight different exciting trims from which to choose. 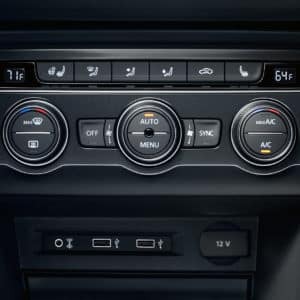 First on the roster is the Tiguan S which sports LED daytime running lights, a Composition Color touchscreen sound system, and VW Car-net App-connect. 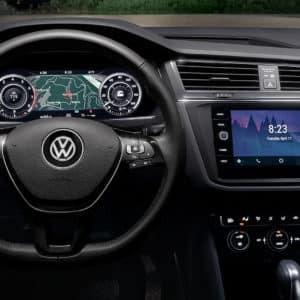 The Car-net App-connect can display select apps from your compatible smartphone on the Tiguan’s center display screen. 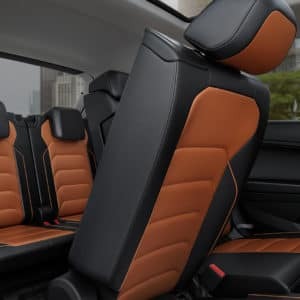 The SE trim has a generous 8” touchscreen sound system, a blind spot monitor, and sumptuous V-Tex leatherette seating surfaces. 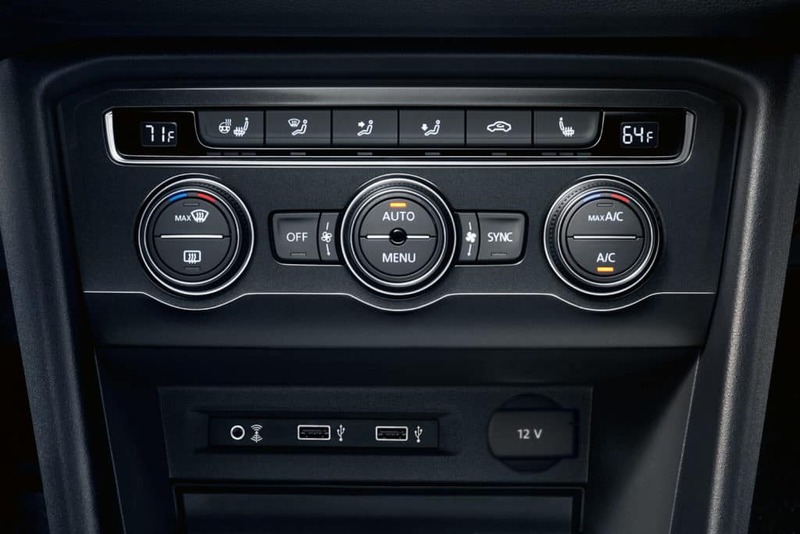 The Tiguan SEL model has refined features like remote start and even adaptive cruise control. 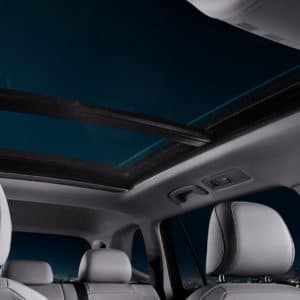 Last in the lineup is the SEL Premium trim, which might surprise you with its truly luxurious details. 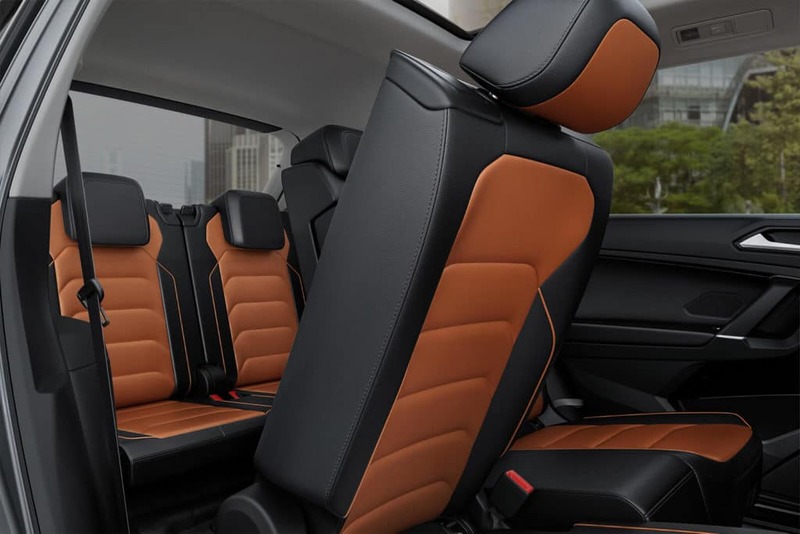 Leather seating surfaces, LED headlights, and VW Digital Cockpit are just some of the features you’ll find inside this fully-loaded Tiguan. 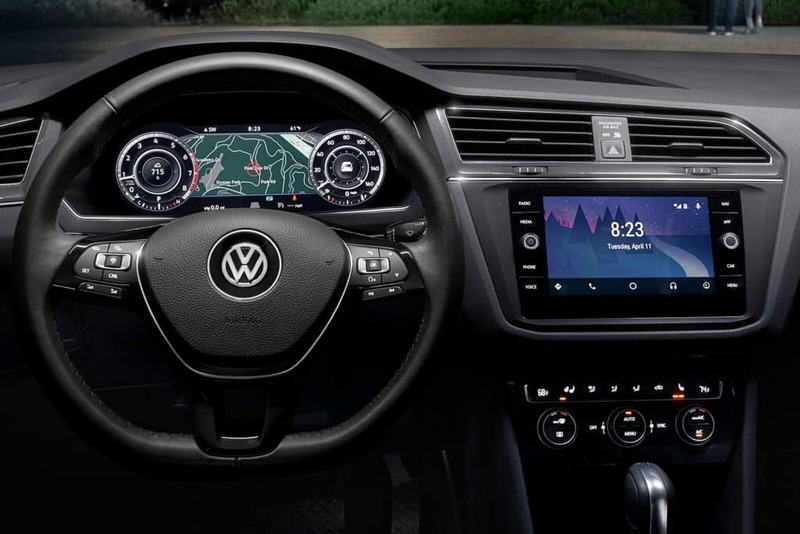 The VW Digital Cockpit gives drivers incredible customization in the dashboard readout and a wide-screen navigation view. The Digital Cockpit sits near the driver’s sightline for maximum driving convenience. Each of these four trims is also available with 4MOTION all wheel drive. The S with 4MOTION, SE with 4MOTION, SEL with 4MOTION, and SEL Premium with 4MOTION all have different drive modes that can help you tackle any road condition. Chose from snow, on-road, off-road, and off-road custom modes. 4MOTION can allocate engine power between the front and back axles to create greater driving stability. 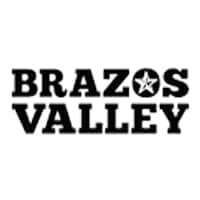 Whether you live in College Station, Cypress, Brenham, or Centerville, Brazos Valley Imports can connect you to the perfect vehicle. See why we are Houston’s premier choice for cars, maintenance, and accessories. When selecting a new or used vehicle, take advantage of our dealer expertise and professionalism. The 2018 Tiguan of your dreams is waiting for a test drive today.